Lena Dunham attends the "Boys In The Band" 50th Anniversary Celebration at Booth Theatre on May 30, 2018 in New York City. Lena Dunham smartened her outfit with a white tweed jacket. 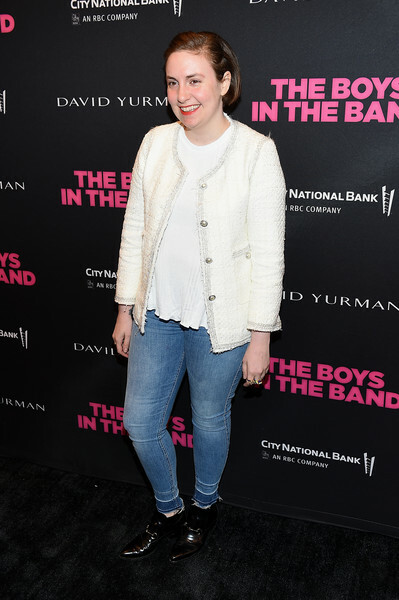 Lena Dunham was casual in skinny jeans by AYR at the 'Boys in the Band' 50th anniversary celebration.